A probative look beneath the surface of modernist claims of facilitating universal communication through the use of human iconography reveals how the supposedly neutral and objective qualities of signage have become socially symbolic in their gender references. Graphic design has the power to make what is and has become socially and culturally acceptable in particular societies appear to be so ingrained that it should not be questioned, much less altered. 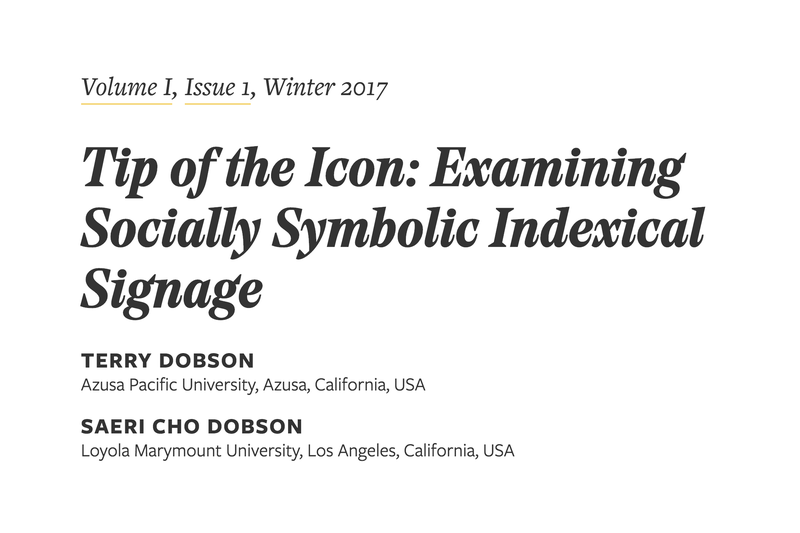 The study described in this piece describes a means to correct at least some portion of the social and cultural transgressions attributable to graphic de-sign in many developed countries over much of the last century. This effort was guided by the following research question designed to address one of the most titanic design is-sues confronting contemporary society: how can universal public restroom signage be redesigned to help positively transform the signification of gender identity in and around them, especially in ways that effectively address the needs of the transgendered? To examine this question, this essay examines the shortcomings of culturally specific signage; the ways in which social issues can be negatively affected by the aesthetics of graphic form; and the ramifications of perpetuating stereotypes through continuing the history of employing universal graphic forms. The result of this visual inquiry contributes to ongoing study in the field of visual semiotics by classifying a new hybrid type of “sign:” the ‘symbolic-index.’ By translating a graphic and historical analysis of signage systems into critical readings and writings about and, eventually, into the making of signage systems through a series of classroom experiments, the integrated learnings that result enable a design outcome that is both pragmatically clear and culturally acceptable. This study builds upon the theories originating from two distinct schools of thought de-rived from semiotics’ “founding fathers” (specifically, Ferdinand de Saussere and Charles Sanders Peirce). As such, it serves as an introductory primer that describes the context in which semiotics was first introduced as a discipline of study that helps theoretically frame how meaning-making is facilitated through graphic design. The application of this theoretical speculation reimagines a new role for socially-symbolic restroom figures by proposing an all-inclusive, gender-neutral solution that harnesses the indexical “bathroom” connotation of the original sign. In achieving this, it demonstrates how designers can become stewards of intercultural communication by modifying the universal with the culturally specific. Ambiguity of Meaning: The grammar of visual language becomes imprecise when the logic of a sign system is not consistently applied. Source: Dobson, T. 2016.